Aster n angliae 'Lou Williams' A great glowing mass of cerise pink flowers in Sept-thru to late Oct. when you need bright illumination. Easy and steady clumping in sun or light shade, no mildew (of course), rarely seen. 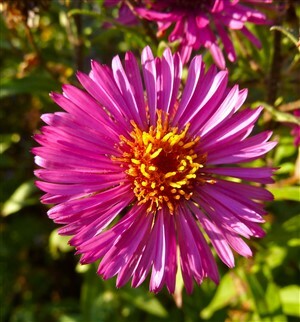 (Symphyotrichum n angliae 'Lou Williams').